This doll belonged to my aunt and must be over 90 years old (my aunt is now 88). The doll is 19 inches long and possibly has had her body parts replaced! My aunt also unfortunately cut her hair, which I was told, is real hair (?). Her tongue looks slightly chipped. The face is China and at the base of her neck it says, ‘Germany. J1’. I would be interested to know of its value. that this feature may spur people into digging things out of their loft, unwrapping grandma’s best porcelain or cleaning and restoring personal treasures. Your doll is really interesting, as straight away I can see that the head does not match the body. The head is very old and I’d say even older than your aunt was! 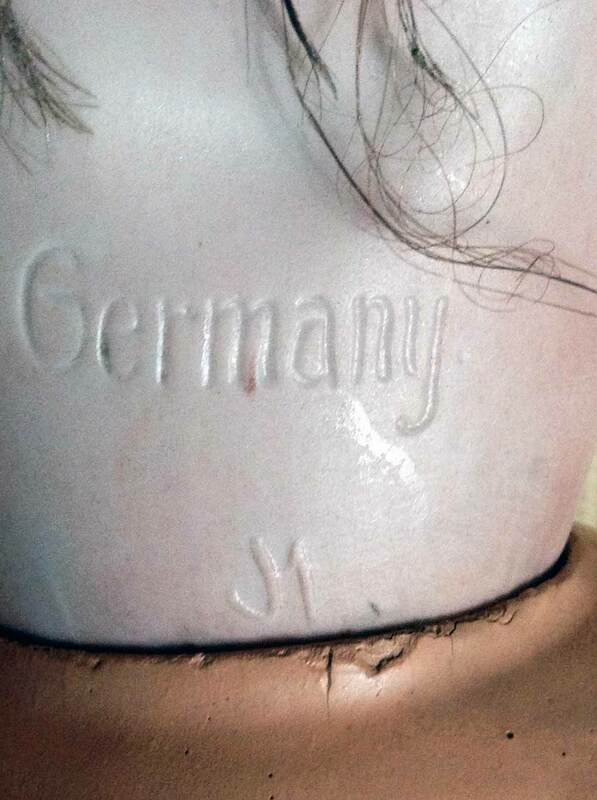 At the base of the head it clearly states Germany J1 which marks it as a very old doll. Probably from 1905 – 1906. In one way it’s a pity the hair has been cut as it doesn’t add to her prettiness, but often the hair can be glued down which makes it very hard to see the makings and give a true valuation. So often people bring their favourite dollies into the centre for me to value them and I can’t give a true valuation without gently having to pull some of the hair away from the neck and that’s never good. At this time the hair would have been horse hair or even human hair. Dolls that have markings like these at the base of the neck are generally the most valuable. As well as just the date, the mark also tells us the country of origin and the manufacturer. 1930 they made 1,000 bisque dolls heads a day. They did not produce the bodies, though; they were bought in from other manufacturers. Dolls with faces like these are lovingly referred to as ‘Chinas’ and are often valued by the delicacy of the facial painting, the translucency of the porcelain and the modelling of the face and hair. It was very common for dolls to have blue eyes and brown hair, so if you see a doll with a bisque or porcelain head with brown or grey eyes and black hair then it will definitely be worth more than its more common blue eyed cousins! The usual procedure was to make the head first and put the body on later. Dolls like yours from about 1905 would have had a body made of leather or cloth. Somehow along the way, this body has been changed as this is a composite body. 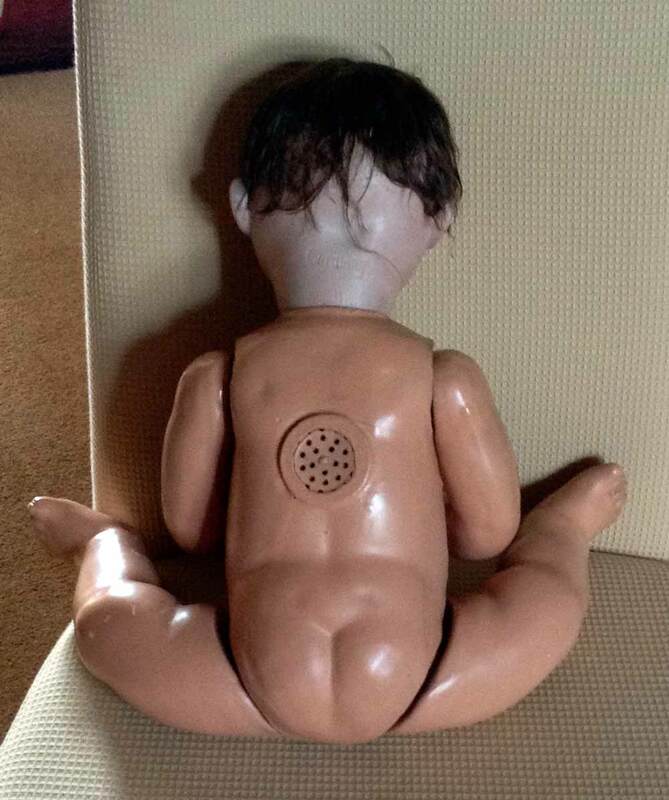 The hole in the back looks suspiciously like a speaker, where a crying doll’s sound may have come from, making many decades between the production of the old head and the ‘modern’ body. Also, where are her clothes? Dolls wearing original clothes are certainly the most valuable and you’d be able to fetch a lot more if she was wearing clothes. However the value is all in the head. The body really is isn’t that important. Yours has flaws like you said in your letter, but she still retains her value as you can clearly see the manufactures mark. I would say she is worth between £80 – £120. 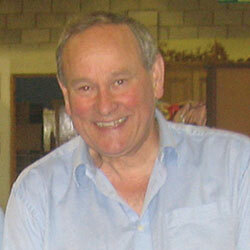 Ten years ago, dolls were worth twice as much as they are today, so if you’d asked me then I’d have said at least £200. However, collectors seem to have fallen out of love with them recently. Lots of early dolls were not pretty. They could be quite ugly, scary things with staring eyes. Now with smaller houses and lofts getting converted into rooms, people don’t have the space they once had and it can be hard to house a collection, so collectors these days only collect either things they love, that can be wrapped and stored, or things that look lovely when on display. For this reason, these types of dolls aren’t readily collected – in fact I know a few people who are actually scared of dolls like this. I have a couple of these types of dolls myself. They aren’t in storage but stand proudly out on display and friends have sometimes said they feel like they are being watched when they come in!